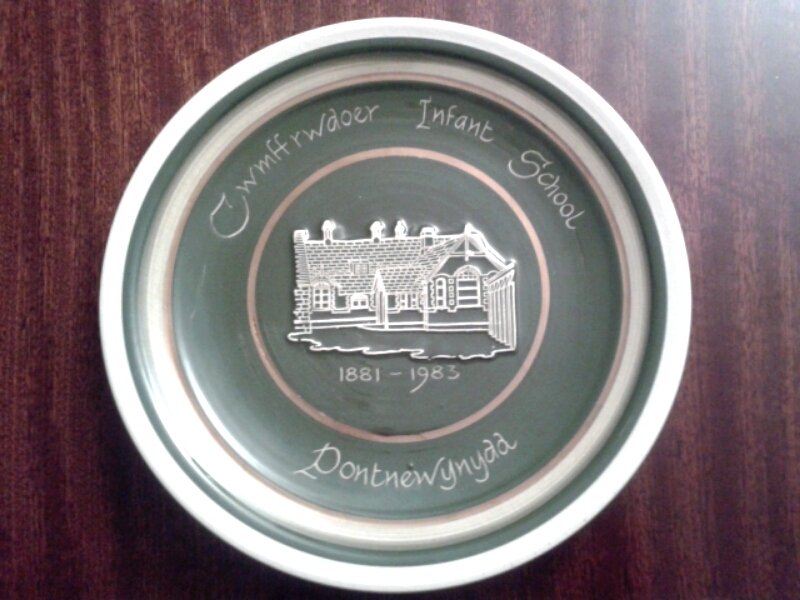 I attach a copy of the plate below as some visitors have asked whether a picture of the school was available. The one on the plate is a stylised sketch but it will be of interest to those who knew it. I have just received the following email from Stephen Burnham. If you can help please leave a comment as time is now short. I have just been browsing your excellent site Reminiscences. …and I was wondering if you could help me with my enquiry. My wife and I are travelling from Norwich to Garndiffaith on the 23rd March and will be staying in Usk for two nights. We are looking for the place where her late mother Joan Baldwin b.1926 grew up. We know she lived in a miner’s cottage in Garndiffaith. We have since been informed by a surviving relative that the cottages have been demolished.Apparently there is now a new Co-op and housing estate where the cottages once stood. Her cousin has mentioned a name that sounds like Aberystruth. We don’t want to waste petrol travelling round half of Monmouthshire. Thank you for taking the time to read my lengthy email. I would appreciate any help you may have. I have just received a photograph (printed below) from Leslie Chisholm of Toronto. She has sent me a photograph of Class 1A at Cwmffrwdoer Infant School taken in or about 1910. Her mother is in the photograph. I estimate that there must be at least 33 children in the class, possibly more. I wonder how many infants teachers today would like to teach a class of that size. 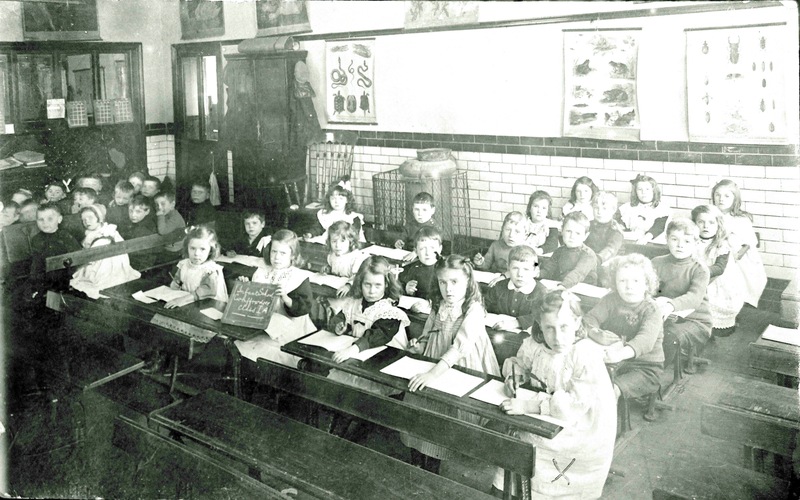 The little girl in the front row proudly holding up her slate board has the name of the class written on it. I found the photograph wonderfully evocative; it is, of course, over 100 years old but some of the items I remember from my own school days in the 1930s, such items as the tortoiseshell stove and the wooden black “slates” both of which I’ve referred to elsewhere in this blog. Leslie is planning a visit to the area in April and wants to take some photographs. I understand that a new school has been built on the site. If anyone has any information, especially names, of anyone in this photograph or has any information or photographs of the old or new school, please either email me or make a comment on this blog. Any information I receive by email I shall pass on to Leslie.